Help Lenny the Kitten Walk Again! 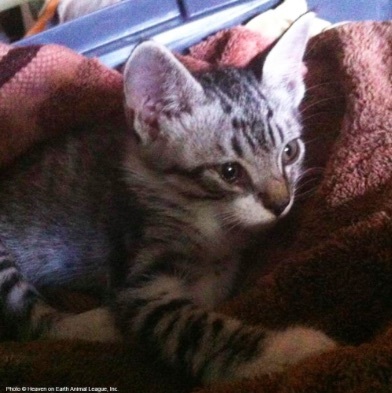 Lenny is a sweet and loving 6-week old kitten… that can’t walk. Hit by a car, he was found with two broken legs and taken to Heaven on Earth Animal League, where he’s now waiting for surgery to repair his two back legs. Lenny’s expected to fully heal after surgery. He’ll walk, play and live a normal, happy life with a new loving family! You can help. Just $15.00 helps Lenny get this life-changing surgery!